Buying a stethoscope can be a steep learning curve, whether you’re just starting out or are looking to update from an old beloved set of tubes. Modern stethoscopes can offer a wide scope of features and it’s important to choose the best model for your needs. Here are our recommendations for choosing the best stethoscope for you. As a student, it’s important to have a stethoscope that works as a good allrounder. You need to be able to keep up with your cardiology consultant, as well as listen to children’s chests. 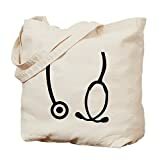 As students, we also preferred to have both a diaphragm and bell on our stethoscope to allow us to get used to technical strengths and weaknesses of each. The other challenge for students is finding a cheap stethoscope – or at least the best value. Given all of these points, we would recommend the Littmann Classic II. 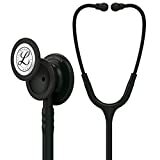 While it’s not a cheap stethoscope, this is one of the most economical of Littmann’s offerings, and will see you well through medical school to foundation years and beyond – check out our review here. This comes in a number of colours – we particularly like raspberry. However, you do pay a premium for the fancier colours and it may be worth looking at the next model up (the Littmann Classic III) if there is not going to be much price difference. This depends on personal preference, and does depend on the scope of your work. For the purposes of these recommendations, we’ve included stethoscopes that are suitable for people seeing both adults and children on a regular basis. We liked the versatility of the Littmann Classic III, especially the innovative head which allows you to convert the paediatric diaphragm into a bell if desired – see our review here. If you have a bit more money to spend, the Littmann Cardiology IV comes with the same setup in the chestpiece (that is, both adult and paediatric diaphragms, one of which can be converted into a bell). However, for the extra money you get dual lumen tubing and better sound quality, making it easier to pick up fainter and lower-frequency sounds. Depending on where you work, there are a number of different options for paediatricians. If you’re working mostly in neonatology, it’s worth looking at an infant-sized stethoscope like the Littmann Classic II Infant, which has a tiny head for auscultating even the smallest of premature chests. MDF also produce the MDF NEO which comes in at a much lower price point – ideal if this is something you use infrequently. For slightly bigger children, a standard paediatric stethoscope may be more useful – try the Littmann paediatric for size – it also comes in this sweet pink colour. If you’d like something more versatile, again the Littmann Classic III or Littmann Cardiology IV might just be good options for you. 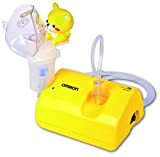 Since both come with adult and paediatric diaphragms, you’ll be able to use them for every patient in your clinic, from toddler to teenager. To read more about paediatric stethoscopes, read Should I buy a paediatric stethoscope? This isn’t because our colleague was being flash – it’s because cardiologists care about sound quality. The Littmann Cardiology range with dual lumen tubing does give better sound quality – especially at lower frequencies – than cheaper stethoscopes. Try the Littmann Master Cardiology if you want a real treat. Electronic stethoscopes offer another range of benefits to those who have more to spend. The 3M Littmann Electronic stethoscope allows you to amplify sounds up to 24 times and filter out 85% of background noise. It also show the patient’s pulse in the display window (which speeds things up on busy medical takes), allows you to record up to 12 30-second clips and to listen in remotely. Which will impress the other cardiologists if nothing else. 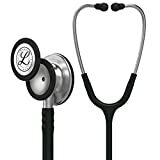 As you can probably tell, we are fans of Littmann products and despite their relatively higher prices they do represent good value for money. Also, we’ve spent TOO MANY shifts straining to hear through cheap ward stethoscopes that we are now very picky about the stethoscopes we use. However, if you’re stuck for cash, MDF make good lower cost stethoscopes with lifetime guarantees and a popular ‘free-parts-for-life’ program. Colours and finishes are a little different from Littmann – we particularly liked this rose gold number. For those of you looking to get more bang for your buck, MDF’s dual lumen cardiology stethoscopes can be bought for (relative) bargain prices.